The 935-acre Clinch River Nuclear Site is located in Roane County along the Clinch River. An application for the early site permit was submitted by the Tennessee Valley Authority in May 2016. A draft EIS was published last year, and in June, the NRC had public meetings in Kingston to discuss its draft conclusion that environmental impacts would be small enough to allow the early site permit to be issued. An early site permit is the NRC’s approval of a site for one or more nuclear power facilities. It does not authorize the actual construction and operation of a new nuclear power plant. That requires a construction permit and an operating license, or a combined license. The NRC said the application and review process for an early site permit makes it possible to evaluate and resolve safety and environmental issues at a site before an applicant commits a lot of resources to the project. If an early site permit is approved, an applicant can “bank” the site for up to 20 years. The Advisory Committee on Reactor Safeguards recommended approving the early site permit for the Clinch River Nuclear Site in a January 9 letter to the NRC. The committee reports on the parts of an early site permit application that concern safety. The NRC staff said its recommendation to issue the early site permit was based upon an environmental report submitted by TVA; consultation with federal, state, tribal, and local agencies; the NRC staff’s independent review; the staff’s consideration of comments received during the environmental review; and the assessments summarized in the final EIS, including potential mitigation measures identified in the environmental report and the final EIS. The Clinch River Nuclear Site could be used to demonstrate small modular reactors with a maximum total electrical output of 800 megawatts. “The final environmental impact statement is an important milestone since it validates that the Clinch River site is capable of safely supporting the type of facility we are proposing, but it is only one of many along the way,” TVA spokesperson Jim Hopson said Monday morning. Now that the final EIS has been published, there will be a mandatory hearing with the NRC after a final safety evaluation report is issued. The NRC expects that report to be published in June. The five-member commission will make a decision after the hearing about whether to issue the early site permit. A contested hearing could be held by the Atomic Safety and Licensing Board panel if a member of the public or an organization successfully files a petition that raises safety or environmental concerns about granting the site a permit, the NRC said. The NRC said an authorization for the construction or operation of new nuclear units at the Clinch River site is not being sought at this time. The potential timing of any reactors being built at the site is not clear. Among other things, TVA doesn’t control the reactor certification process. “There are currently no certified small modular reactor designs available, but TVA will continue working to ensure we are ready to fully evaluate them when they are available,” Hopson said. Financial considerations would have to be evaluated, and the TVA board of directors would have the final decision “based on what they believe will be in the best interest of the people of the Tennessee Valley,” Hopson said. A reader has asked why TVA might consider adding new generating capacity at the Clinch River site even as it plans to retire coal-fired units like the Bull Run Fossil Plant in Claxton, citing flat or declining demand. The Clinch River Nuclear Site is about 10 miles south of the urban center of Oak Ridge, about 16 miles west of Knoxville, and seven miles east of Kingston. It’s adjacent to the U.S. Department of Energy’s Oak Ridge Reservation. The small modular reactors at the Clinch River Nuclear Site are one of several non-residential developments under way or being considered in west Oak Ridge. 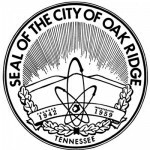 Two others are the K-25 History Center, Equipment Building, and Viewing Tower at Heritage Center (the former K-25 site), and the proposed Oak Ridge Airport at Heritage Center. See a Reader’s Guide to the final EIS for the Clinch River Nuclear Site here. See the NRC’s page on the early site permit application for the Clinch River Nuclear Site here. See the environmental impact statement here.